Not big on making videos, but sometimes it works best, so here’s a video I made to explain how I create QR codes that open up an image when scanned. 2) Slide orientations makes a difference. For iPads, keep the orientation at landscape. For smaller devices (smartphones and iPods), portrait works better. Change the slide orientation to portrait by going to design, then slide orientation, then portrait. 3) While in design, add color or whatever you wish to the background. 4) Add text and make sure it is very large so that it can be seen if you use an iPod (4th generation) or smartphone. 5) Insert clip art or an image if you wish. 6) Go to save as. *Critical point – when saving you need to click on the “Save Type As” and save the file as a jpg file, NOT a PowerPoint file. This will be your image. 1) If you don’t have one already, create an account at Photobucket. 2) After registering, sign in, and click on the green upload button. 5) You should see your image. Hover your cursor over the image. 7) The coding should automatically be copied to your clipboard. Now you have your image link. 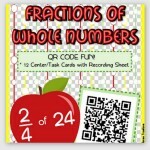 2) Your QR code should automatically be created. 3) Click on “Download QR Code” underneath the QR Code. 4) From there you can open it or save it. 5) The website also has some options at the bottom for printing. I normally save the QR code and open it in a program like PowerPoint. 1) You need a smartphone, iPod 4th generation (all previous versions do not have a camera), or an iPad. 2) Go to the app store in your device. 3) Search for Scan. There are many, but I’ve had not problem with this one. 4) Download the app and your ready to scan! 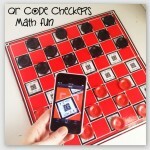 There are a WORLD of possibilities with QR codes. 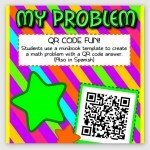 My kids and I are QR code crazy! 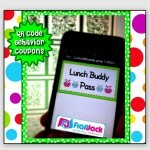 My first attempt at image QR codes was with behavior coupons. You can click the image below to check out that post. 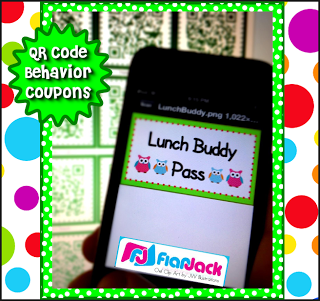 I also have behavior coupons in Spanish now along with a bunch of other freebies. Check ’em out! Thank you for posting this. I thought these were the steps, but just needed some verification. 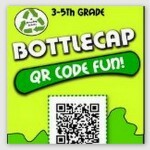 I am using QR codes in my classroom in affiliation with my behavior rewards. Right now they are just linked to text, but I hope to create some pictures to go with them. Thanks again. Great! I'm glad to know the instructions hopefully makes sense. 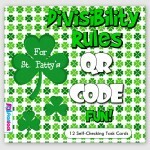 😛 Good luck with your picture QR codes! Why do you use photobucket instead of Drive for storing your images?